First, your copier tends to eat a lot of ink or toner. As your copier ages, it struggles to give you the crisp, clean images that it once gave. The problem will worsen with time. The second warning sign is when your copier eats up paper in an ongoing manner. When you print a document, it should come out without scrape marks on it. 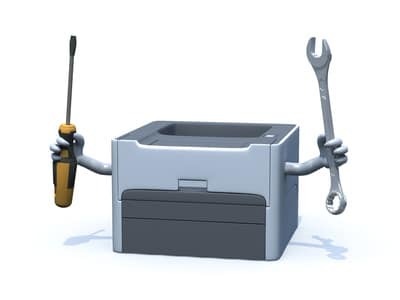 If you start to see bad printouts and you have tried to fix the problem, then it might be time to upgrade. The third warning sign is that your copier works slower than it used to. That can have a major impact on productivity in the office. Finally, the fourth sign is that you have bad print quality. After owning a printer for a few years, the quality in the print jobs can start to lower. First, examine the issue more closely, but if you notice this does not help, it might be time to buy an upgrade.